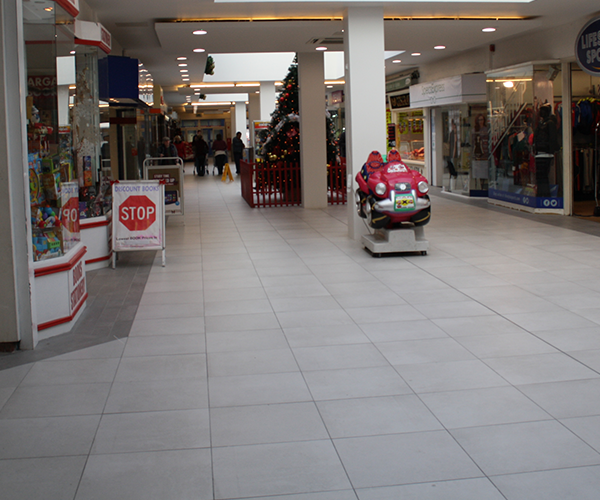 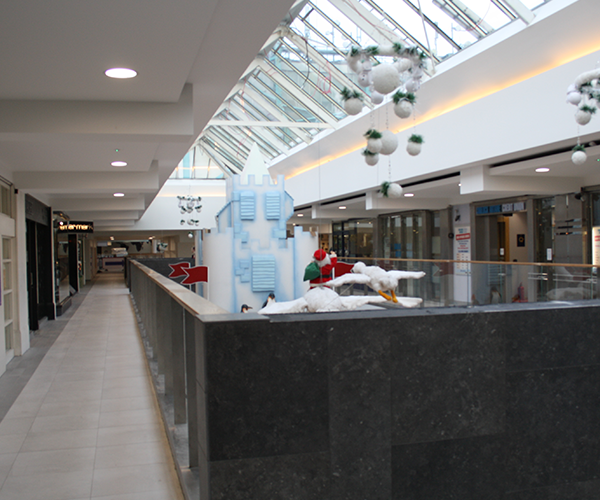 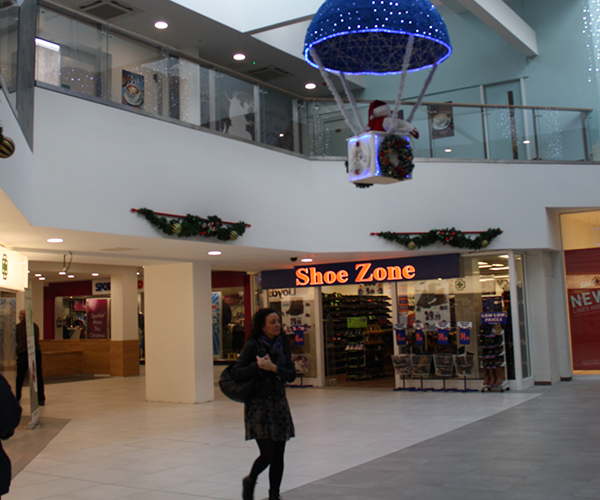 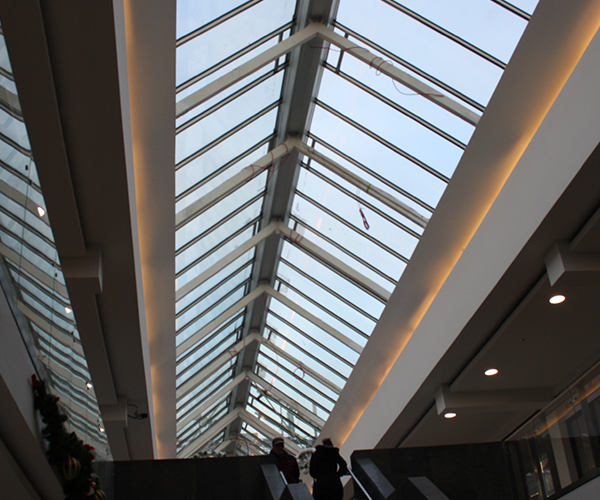 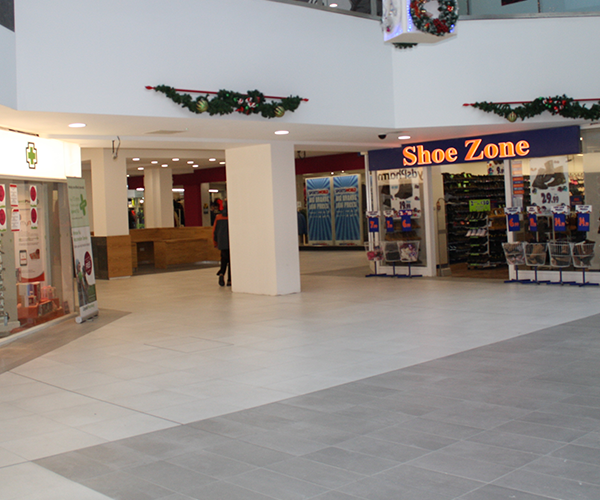 Description: This 3000m2 refurbishment project was carried out while the shopping centre was live and involved extensive night works. 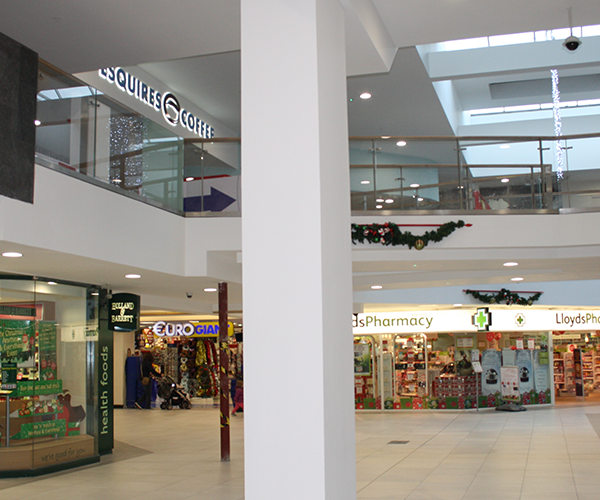 The shopping centre was constructed in 1969 and required considerable refurbishment, to transform it into a destination shopping centre. 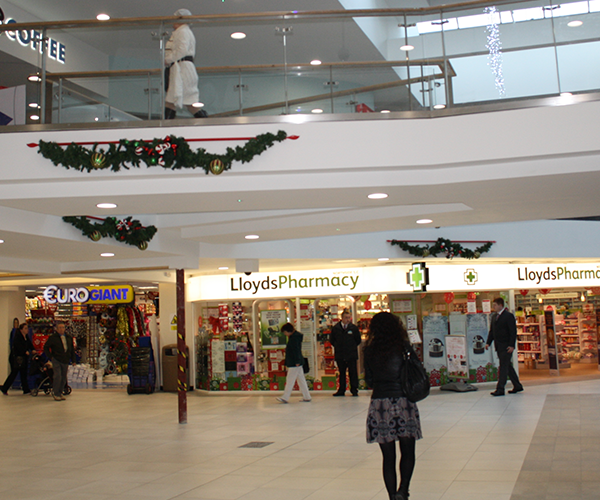 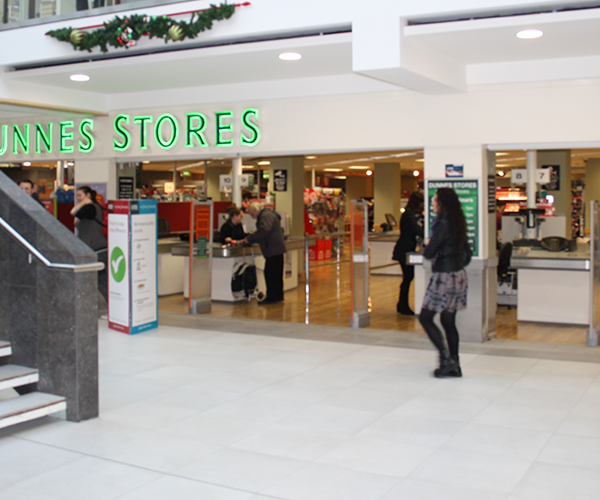 The shopping centre contains two major food supermarkets – Dunnes Stores and Superquinn, together with a Heatons Department store. 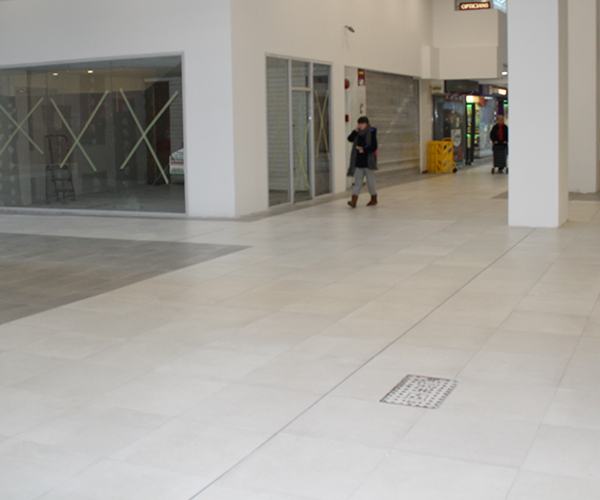 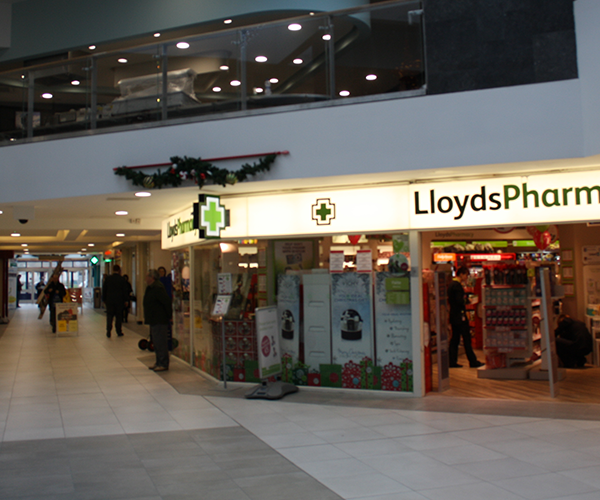 The shopping centre also contains smaller food outlets, two butchers, two cafe’s, a fastfood restaurant and the upper level also houses an optometrist, a dentist and general practitioners clinic. 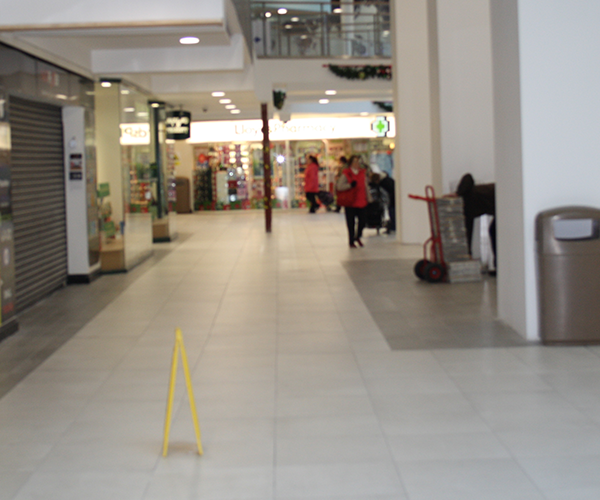 The shopping centre is an important local centre for financial institutions and contains a credit union, two banks and a post office together with state employment and training agency. 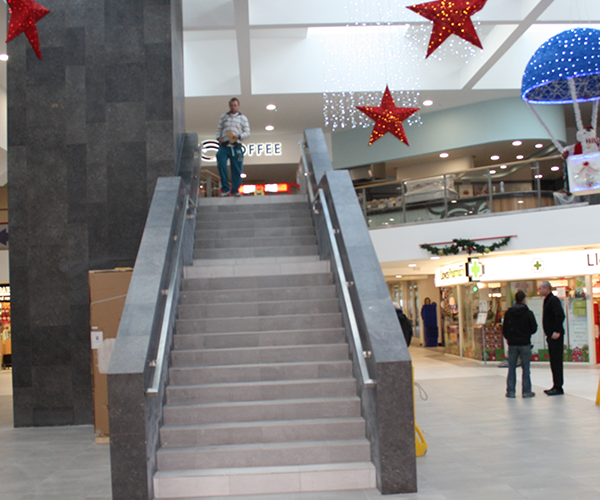 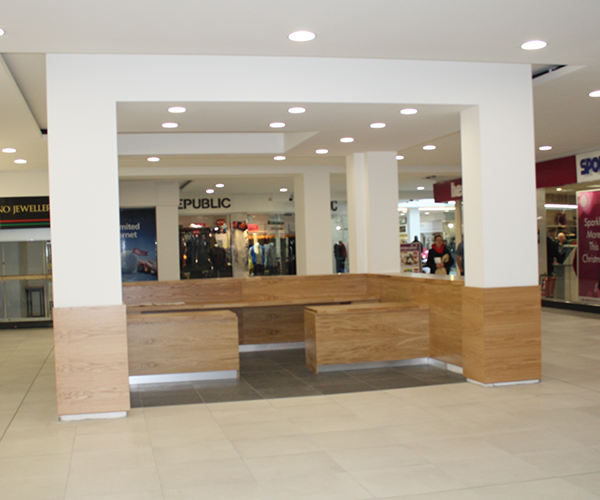 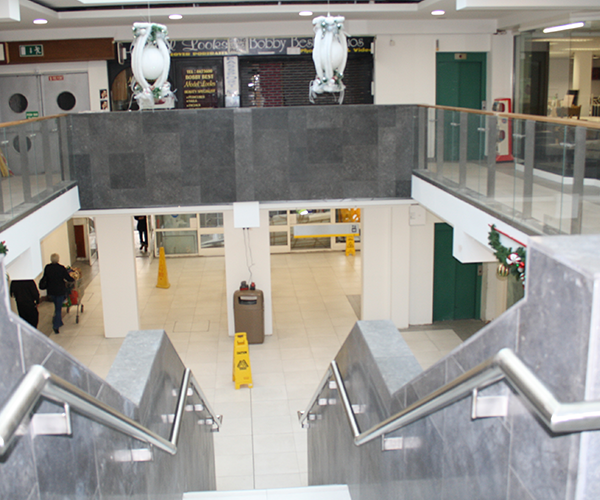 The refurbishment included replacing all floor tiling in the mall area, upgrading of all roof lights, upgrade of ceiling bulkheads, installation of new customer toilets and the fitout of a new franchise of Esquires café, new Shopping Centre Management office, and information kiosks throuhout the mall, together with replacement of balustrading to the mezzanine floor. 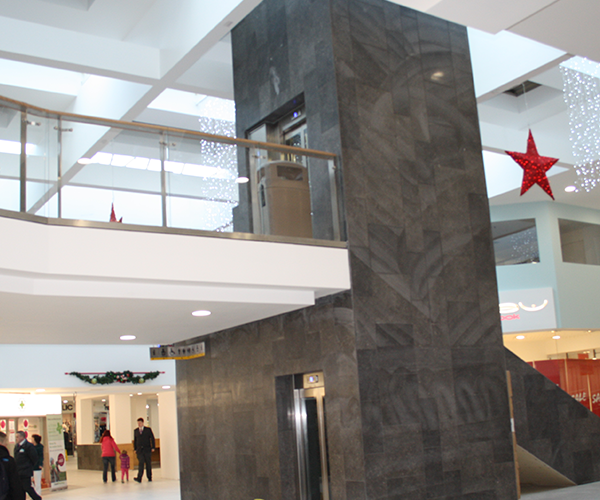 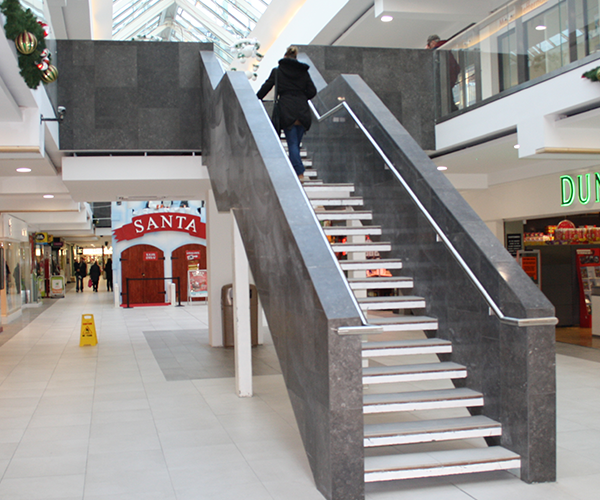 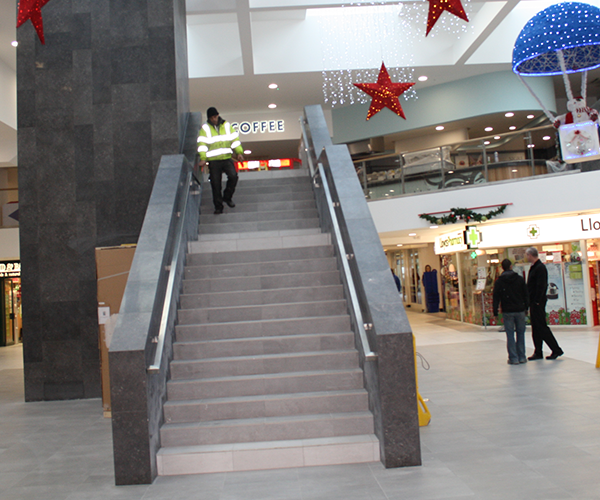 The internal stairs were demolished and new cast insitu concrete stairs installed, together with the installation of 2 new lift pits and lifts, one of which was located inside Heatons Department Store. 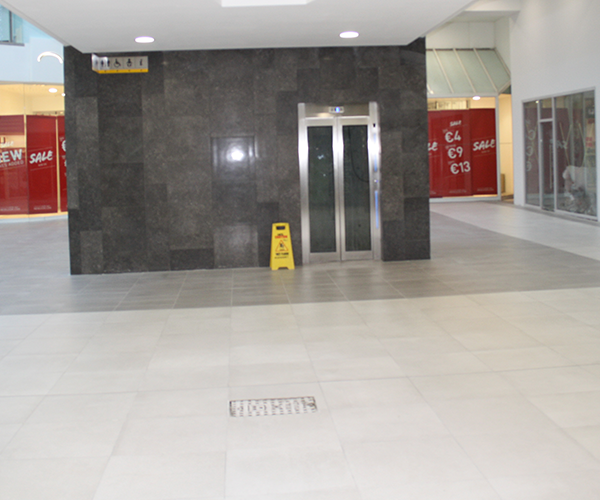 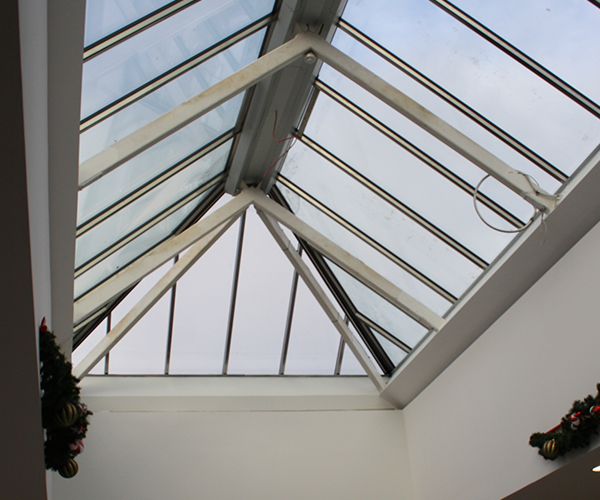 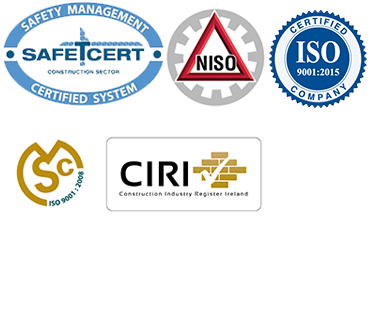 The works included upgrading of all mechanical and electrical installations, sprinkler systems, smoke vents and fire curtains, plus the installation of a new generator.